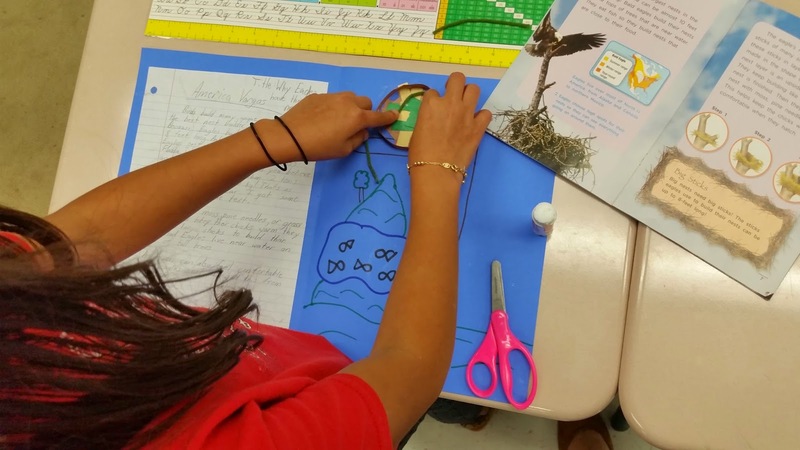 Main Idea, Similes, and Bird Nests! Can you believe it is almost the end of the year? Where has the time gone??? Well… things have def not slowed down for this Applicious Teacher! Here’s what we’ve been up to the for the past few weeks! 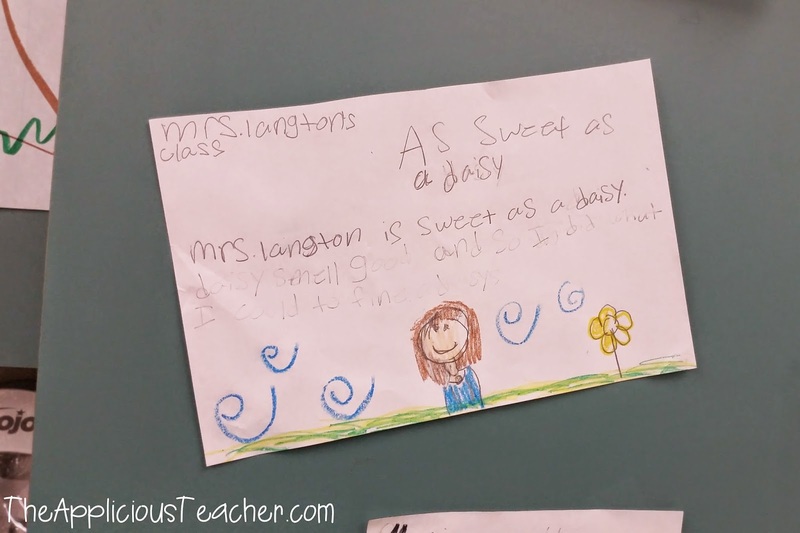 I’m a huge believer in inspiring students to write using authors’ samples. That’s why I LOVE this book from Scholastic, “Crazy Like a Fox”. 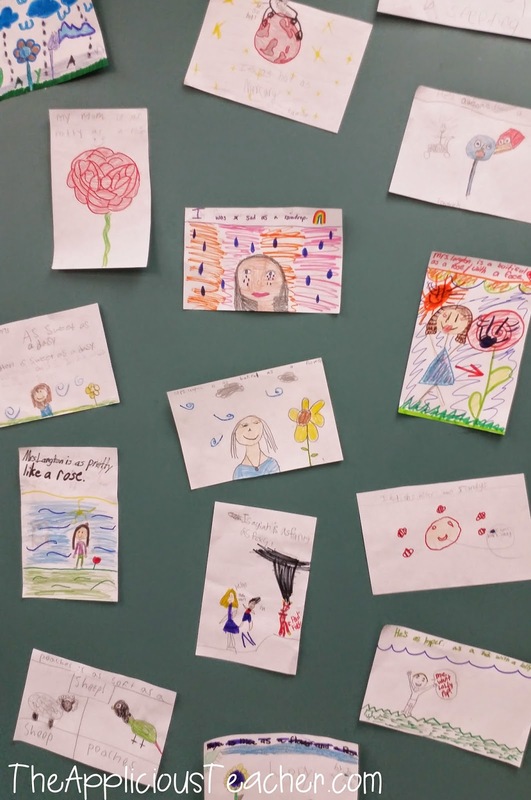 What a great way to teach similes! Before reading, we discussed a simile and worked brainstorm a few common ones that we could recall. Then we read through the story. After reading, we were ready to try our hand at writing our own. Sorry… the illustration on this one is just presh! To keep us inspired to use similes in our writing, I hung our samples on our cabinet door. I feel this is one of those skills you just can’t give too much attention too… I thought it was hard to teach in second… It is WAY more intense in third! 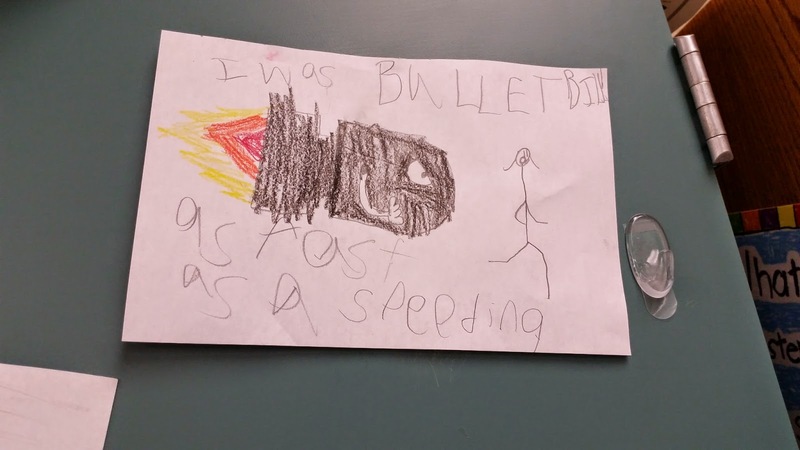 I was in search of a good nonfiction text for my students to work with for this skill… but I also wanted to differentiate the text based on my student’s ability. In steps my school’s reading series leveled readers. 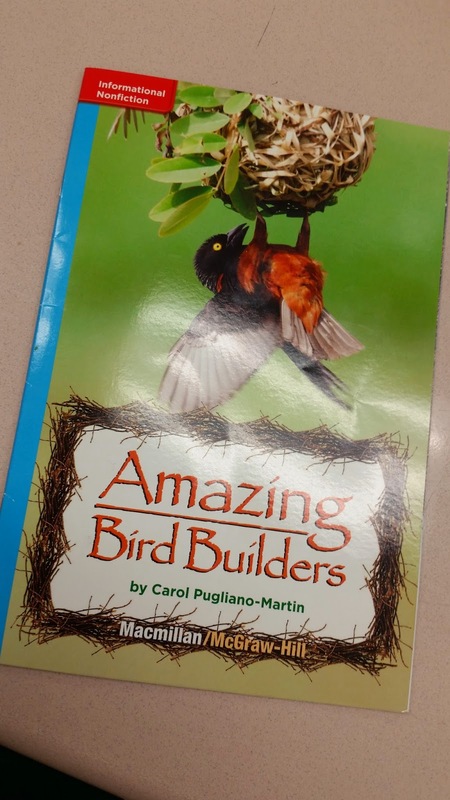 These small books are traditionally used in small group instruction, but I thought this bird builders book was a perfect tie in to our animal unit, so I snatched it up in 4 levels (High, Med, Low, and ESOL) Teacher score! 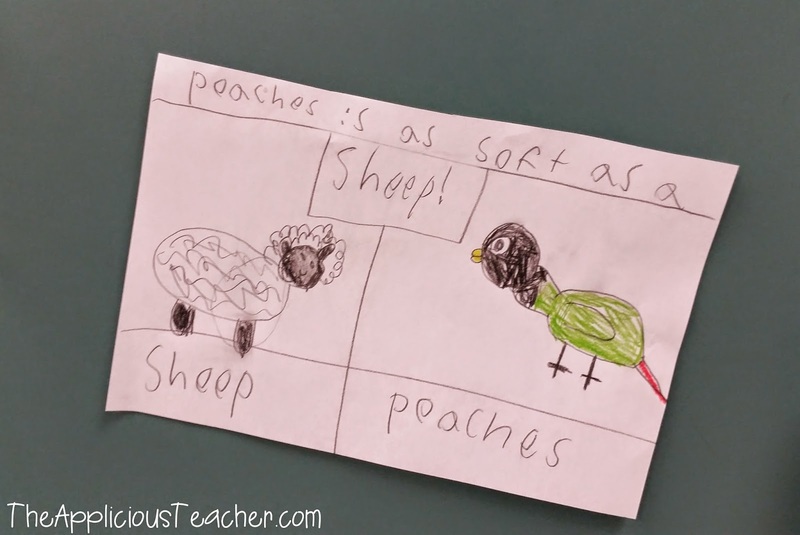 At the beginning of the week, I split the students out into pairs and three’s based on their leveled book. Their mission? To read the first chapter in the book and work to ID the main idea with their group. As students read, I worked my way around to each group, stopping to check comprehension and to discuss the main idea. If students struggled, we went back through as a team to reread the introduction and chapter title. Later in the week, I worked the books into my group work center. Since the students were already reading the leveled text (denoted on the book by color) It was easy to assign books for the center activity. For the center, students were to read the next chapter in their leveled reader. Then work with their team to id the main idea and find 3 supporting details. We used my Main Idea and Details Interactive anchor chart and some dry erase markers to record our answers. You can grab this chart for FREE by clicking the pics or here! As a culminating activity, we incorporated a little persuasive writing into our text adventures. 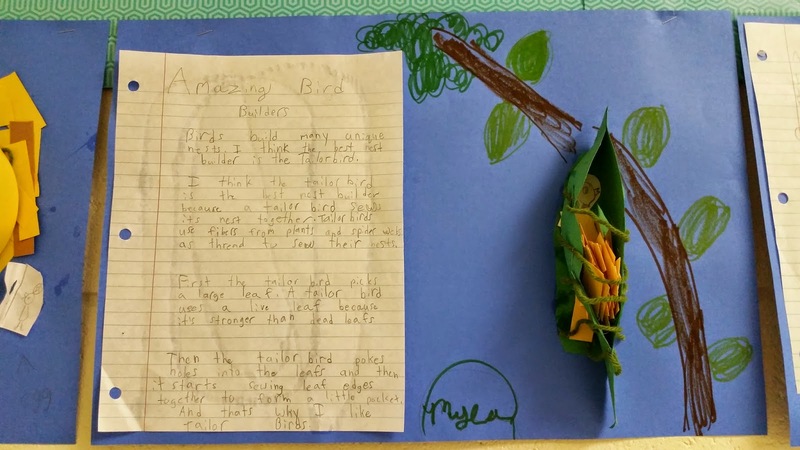 Since we had been reading and learning all about how all these amazing birds build their shelters, the students selected the nest that they thought was the best. Then, they defended their choice using evidence from the text. We couldn’t just stop there. 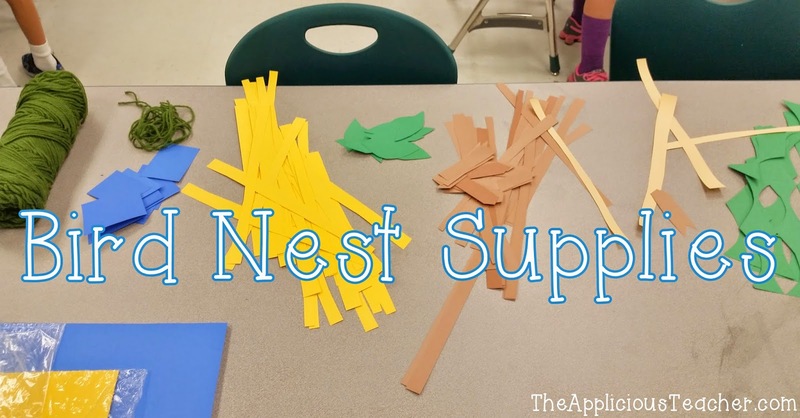 I’m a huge advocate for art in the classroom and my kids were rearing to get their creative juices flowing, so after they finished their persuasive piece, the students built a sample of the bird nest using paper and string. I filled up my back table with bird supplies. Brown paper for sticks, yellow paper for hay, green paper for grass, cut out leaves for leaves, and blue for the bits of blue that one bird loves to decorate his little home with. The kiddos grabbed their supplies and set to work. 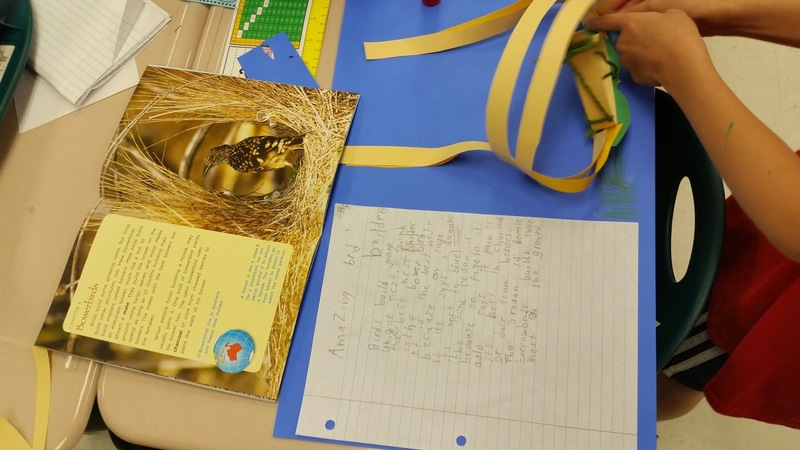 Using their books as a guide, they worked to build the best nest. Some even took to the I-Pads to research a little bit more! 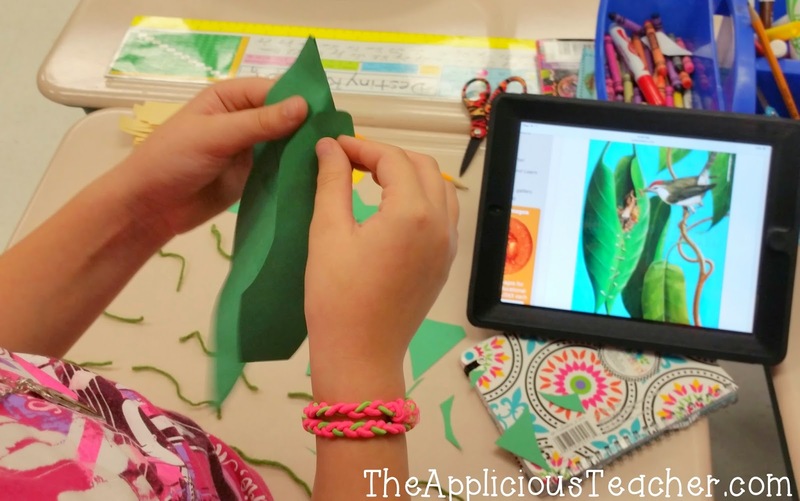 Love how this students is using the green yarn to sew her leaves together just like the bird in her paper. Here’s her final product. Perfect if you ask me! 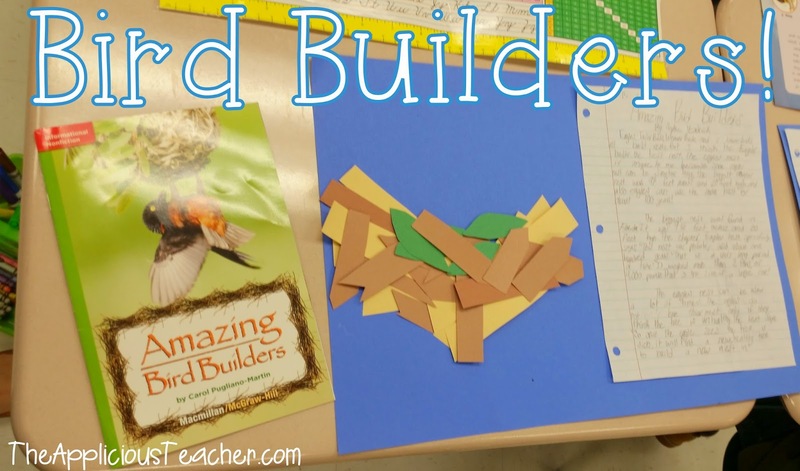 Such a fun way and easy way to get kids engaged and learning! Whew! That’s just a few things we’ve been up to. I’ve got plenty more to share with you so be sure to stay tuned! We may be on T-minus 6 days, but this teacher is TEACHING!